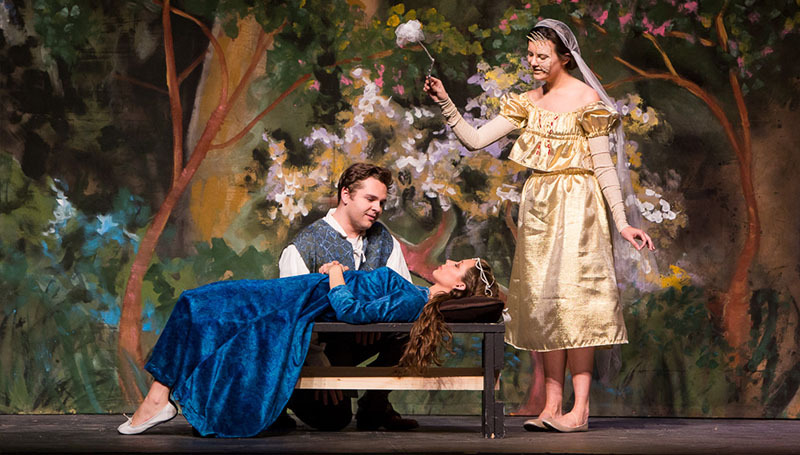 Southern Theatre will present “The Sleeping Beauty” at 2:30 p.m. Saturday, Nov. 11, and Sunday, Nov. 12, in Taylor Performing Arts Center. Adapted from the classic Brothers Grimm tale, it’s the story of a princess who was cursed at her christening by a wicked fairy. The fairy prophesied that on her 16th birthday the princess would prick her finger on a spindle and fall into a deep sleep. She will only be awakened by a prince brave enough to fight his way through the wilderness that grows up around the castle. The show is directed by Ann G. Lile. Admission is $3 for adults, and $1 for children 12 and under. Tickets will be available at the door. The box office will open at 1:30 p.m. for each performance. For requests for accommodations related to a disability, contact Terri Spencer at 417-625-9393.